UNICEF places Ekiti state on Surveillance over Meningitis – Royal Times of Nigeria. 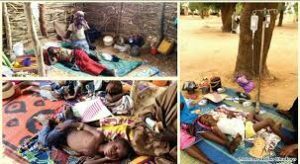 The United Nations Children’s Fund, UNICEF, has placed Ekiti state on Surveillance to prevent an outbreak of meningitis which has killed over eight hundred persons in some northern states. The international organization said although there is no reported case of the outbreak in Ekiti, the organization is working with experts in the Ministry of Health on the need to be alert. The UNICEF Representative in Ekiti, Mr Abiodun Olagunju, said this on Thursday, in Ado Ekiti, the state capital, during a stakeholders’ meeting held to discuss the second phase of polio vaccination in the state. Giving the overview of the first phase of the anti-polio campaign held in the state, the State Immunization Officer, Mrs Christianah Ajimati, said a total of five hundred and seventy-nine thousand, seven hundred and four children were immunized with the polio vaccine during the exercise held in March, 2017 out of the projected six hundred and sixty-seven thousand, one hundred and forty-five. 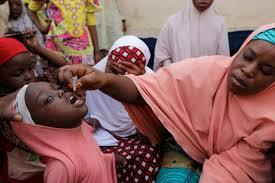 The expert also noted that the second phase of the fight against polio will kick off between the sixth and ninth of May, 2017, in order for Nigeria to maintain her polio-free status conferred by the United Nations.